Radical prostatectomy is a leading form of treatment for non metastatic prostate cancer. It has been shown to improve survival in the long term as well as delay or prevent the onset of metastatic disease. However, as the treatment of metastatic prostate cancer has evolved in the last few years with the introduction of newer agents, the possible role of 'cytoreductive' radical prostatectomy is now being explored. Preliminary evidence suggests that radical prostatectomy may have a future role in this clinical scenario with a potential to improve quality and quantity of life in selected patients with metastatic disease. The incidence of varicocele in the general population is up to 15%. It is estimated that the prevalence of pain with varicoceles is around 2-10%. Till the year 2000, only two studies evaluated efficacy of varicocelectomy in painful varicoceles with conflicting results. Over the past decade many other studies have addressed this issue and reported on the treatment outcome and predictors of success. 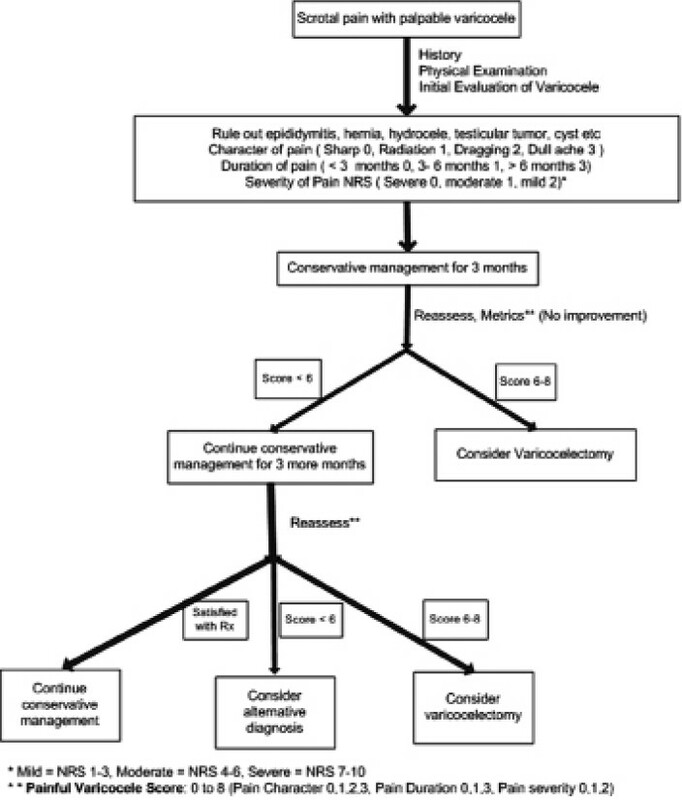 We critically appraised studies published from March 2000 to May 2013 evaluating surgical management in painful varicoceles to provide an evidence based review of effectiveness of varicocelectomy in relieving pain in patients with symptomatic painful varicoceles. The association between varicoceles and pain is not clearly established. Conservative treatment is warranted as the first line of treatment in men with painful clinical varicoceles. In carefully selected men with clinically palpable varicoceles and associated characteristic chronic dull ache, dragging or throbbing pain who do not respond to conservative therapy, varicocelectomy is warranted and is associated with approximately 80% success. However, surgical success does not always translate into resolution of pain and pain might persist even when no varicoceles are detected postoperatively. Introduction: Urinary continence is an important outcome parameter after robot assisted radical prostatectomy (RARP). We evaluated the continence outcomes following RARP using a double-layered urethrovesical reconstruction. Materials and Methods: One hundred fifty consecutive patients undergoing RARP and double-layered urethrovesical reconstruction were prospectively studied for preoperative, intraoperative and post operative parameters. Key points followed during surgery were: Minimal dissection of sphincteric complex, preservation of puboprostatic ligament, selective ligation of deep venous complex and both posterior and anterior reconstruction using the Von Velthoven stitch. Intraoperative bladder fill test was done at the end of anastomosis to rule out urine leak. Check cystogram was done prior to catheter removal in the outpatient department. Patients were subsequently followed at regular intervals regarding the status of urinary continence. All patients irrespective of adjuvant therapy were included in the analysis. Results: The mean age was 64 years (standard deviation ± 6.88), and mean serum PSA was 20.2 ng/ml. The mean BMI was 25.6 (SD: ±3.84). The mean prostate weight was 44.09 gm (range 18-103 gm, SD: ±15.59). Median days to catheter removal after surgery was 7 (range 4-14 days) days. 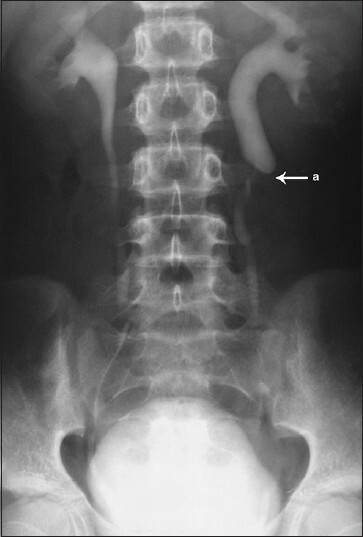 Cystographically determined urinary leaks were seen in two patients. Urine leak was managed by delaying catheter removal for 1 week. Minimum 6 month follow up was available in 126 patients. 'No pad' status at 1 week, 1 month, 3 months, 6 months and 1 year was 15.1%, 54.9%, 78%, 90.5% and 94.1%, respectively. Conclusion: Excellent continence outcomes are observed in patients undergoing double-layered urethrovesical reconstruction. Introduction: We hypothesized that there is a reverse stage migration, or a shift toward operating on higher-risk prostate cancer, in patients undergoing robot-assisted laparoscopic prostatectomy (RALP). We therefore evaluated the stage of disease at the time of surgery for patients with prostate cancer at a large tertiary academic medical center. Materials and Methods: After institutional review board approval, we reviewed all patients that had undergone robotic prostatectomy. 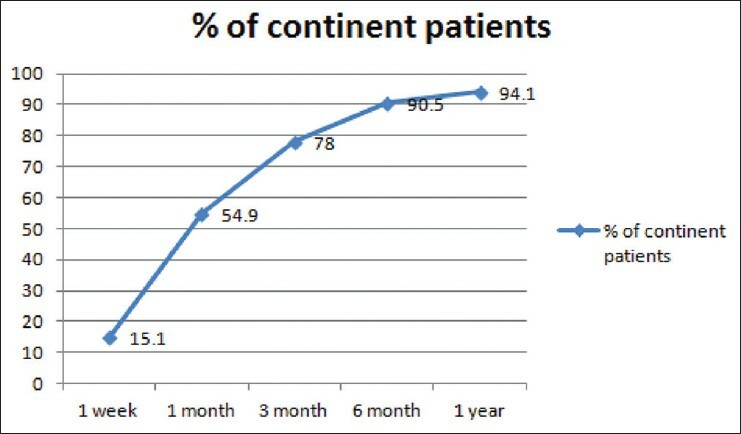 These patients were separated into three categories: An early era of 2005-2008, intermediate era of 2009-2010, and a current era of 2011-2012. Results: A total of 3451 patients underwent robotic prostatectomy from 2005 to 2012. The proportion men with clinical T1 tumors declined from 88.3% in the early era to 72.2% in the current era (P < 0.0001). Men with preoperative biopsy Gleason 6 disease decreased from the early to the current era (P < 0.0001), while men with preoperative biopsy Gleason ≥ 8 showed the opposite trend, increasing from the early to the current era (P = 0.0002). 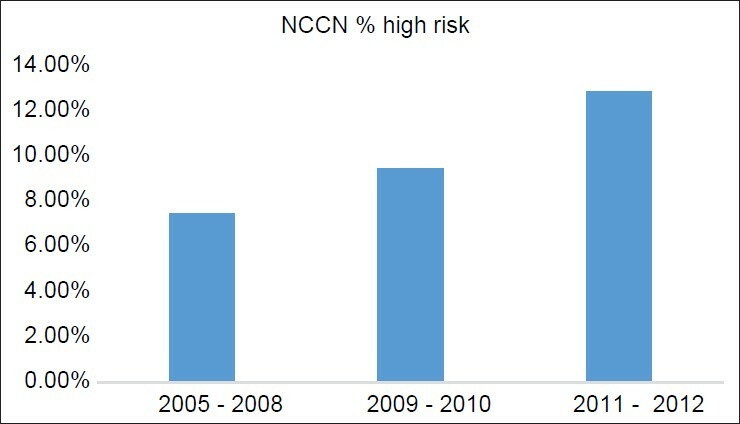 From the early to the current era, the proportion of patients with National Comprehensive Cancer Network (NCCN) low risk prostate cancer decreased, while those with NCCN intermediate and high-risk disease increased. The proportion of pathologic T3 disease increased from 15.5% in the early to 30.6% in the current era (P < 0.0001). On the other hand, the proportion of pathologic T2/+ SMS (surgical margin status) decreased from 6.6% in the early era to 3.1% in the current era (P = 0.0002). Conclusions: We have demonstrated a reverse stage migration in men undergoing robotic prostatectomy. Despite the increasing proportion of men with extra-capsular disease undergoing RALP, the surgical margin status has remained similar. This could reflect both the changing dynamics of the population opting for surgery as well as the learning curve of the surgeons. Introduction: Vesicoureteral reflux (VUR) is a common pediatric urologic disorder. After the first urinary tract infection (UTI), imaging studies are recommended, starting with a renal ultrasound (RUS). Voiding cystourethrography (VCUG) and dimercaptosuccinic acid (DMSA) scan are the other main radiologic studies used to detect VUR. We evaluated the use of RUS as a screening method for VUR in children below 2 years of age, in order to avoid unnecessary VCUG. Materials and Methods: Medical records and imaging studies of infants (<2 years) who had their first UTI in a 6 year period were retrospectively reviewed. We evaluated the sensitivity, specificity, and negative predictive values of RUS and DMSA for diagnosing VUR. Results: Among 155 children (51% males) with their first UTI, 148 RUS were performed, 128 VCUG and 29 DMSA. VUR was detected in 21% patients; 14.5% low grade and 6.5% high grade. One hundred and twenty-one patients underwent both RUS and VCUG, 101 RUS were normal and 20 abnormal. Of the normal RUS 98% had no or low grade VUR. Among those with an abnormality on RUS 30% had high grade VUR (P = 0.001). Conclusions: After the first UTI in infants (<2 years) RUS is a good screening method for VUR. Among such shildren with a normal RUS, we do not recommend VCUG or DMSA. In our opinion, VCUG should be performed only in patients with abnormal findings in RUS or in recurrent UTI. Introduction: Stone disease is a significant and world-wide health problem. Recently, certain drugs have been used as a supplement to observation alone in an effort to improve spontaneous stone expulsion. We evaluated the efficacy of nifedipine and alfuzosin in the medical treatment of symptomatic, uncomplicated distal ureteral stones. Materials and Methods: This was a randomized controlled prospective study to determine the efficacy of alfuzosin and nifedipine as an adjunctive medical therapy, to increases the stone-expulsion rates in distal ureteric calculus of size ≤10 mm. Investigators and patients were blinded to the randomization scheme. Patients were randomly divided into three equal groups of 35 patients each. Patients in Group I received tablet nifedipine 30 mg/day, Group II received alfuzosin 10 mg/day and Group III was the control group received tablet diclofenac sodium. The patient blood pressure, stone position on imaging, number of pain attacks, time of stone-expulsion, hospital re-admission and any adverse events were assessed. Patients were followed-up weekly and continued until the patient was rendered stone free or up to 28 days. Statistical analysis was performed and P < 0.05 was considered to be significant. Results: Stone-expulsion was observed in 60%, 85.7% and 20% patients in Group I, II and III respectively. A statistically significant difference was noted in between Groups I versus III, Groups II versus III and Groups I versus II (P < 0.0001, P < 0.0001, and P < 0.0315 respectively). The mean number of pain attacks was 2.91 ± 1.01 for Group I, 1.8 ± 0.83 for Group II, and 2.82 ± 1.12 for Group III, which is statistical significant in Groups II versus III, and Groups I versus II (P < 0.001 and P < 0.001). Hospital re-admission rate was less in treatment groups when compare to control group (P < 0.0001). Conclusion: The use of alfuzosin and nifedipine as a medical expulsive therapy for distal ureteric stones proved to be safe and effective in term of increased stone-expulsion rate, reduced pain attacks and decrease hospital re-admissions. Introduction: Additional cover after neourethra formation to decrease the fistula rate, has been described using the dartos, tunica, denuded skin and corpus spongiosum. The use of corpus spongiosum alone to cover the neourethra is infrequent. The objective of this study was to evaluate the efficacy of spongioplasty alone as an intervening layer in the prevention of urethral fistula following tubularized incised plate urethroplasty (TIPU). 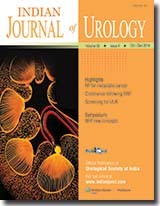 Materials and Methods: A prospective study was performed including 113 primary hypospadias cases undergoing TIPU with spongioplasty from June 2010 to March 2012. Correction of chordee was carried out by penile degloving alone in 5, mobilization of urethral plate with spongiosum in 22 and combination of both in 45 cases. Intra-operatively, spongiosum was taken to be poorly developed if it was thin and fibrous, moderate if good spongiosal tissue with good vascularization and well-developed if healthy robust spongiosum, which became bulkier than native spongiosum after tubularisation. 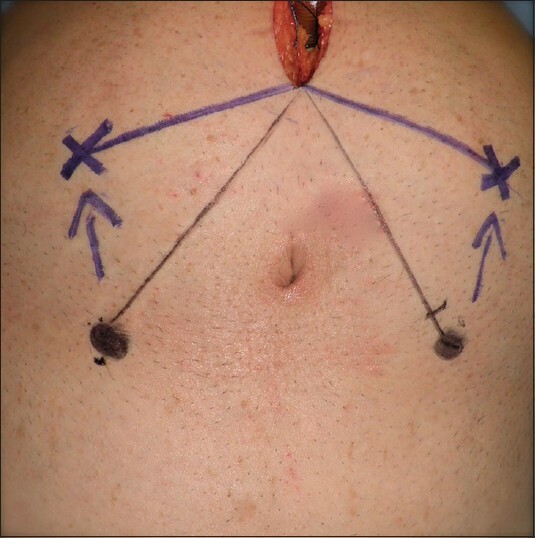 Spongioplasty was done in a single layer after mobilization of spongiosum, starting just proximal to the native meatus and into the glans distally. Results: The mean age of the patients was 11.53 years. The type of hypospadias was distal, mid and proximal in 81, 12 and 20 cases respectively. Spongiosum was poorly developed in 13, moderate in 53 and well-developed in 47 cases. The mean hospital stay was 8-10 days and follow-up ranged from 6 months to 2 years. Urethral fistula was seen in six patients (11.3%) with moderate spongiosum (distal 1, mid 1 and proximal 4), and three (23.03%) with poorly developed spongiosum (one each in distal, mid and proximal) with an overall 7.96% fistula rate. None of the patients with well-developed spongiosum developed a fistula. Poorer spongiosum correlated with a greater number of complications (P = 0.011). Five out of thirteen cases with poor spongiosum (38.46%) had proximal hypospadias, i.e. more proximal was the hypospadias, poorer was the development of the spongiosum (P = 0.05). Meatal stenosis was seen in two patients (1.76%) with proximal hypospadias, one with moderate and the other with poorly developed spongiosum. More proximal was the hypospadias, greater were the number of complications (P = 0.0019). Conclusion: TIPU with spongioplasty reconstructs a near normal urethra with low complications. Better developed and thicker spongiosum results in lower incidence of fistula and meatal stenosis. 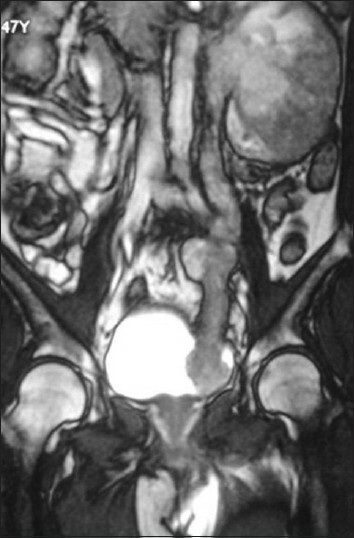 More proximal hypospadias is associated with poorer spongiosum. We recommend spongioplasty to be incorporated as an essential step in all patients undergoing tubularized incised-plate repair for hypospadias. With more than 60% of radical prostatectomies being performed robotically, robotic-assisted laparoscopic prostatectomy (RALP) has largely replaced the open and laparoscopic approaches and has become the standard of care surgical treatment option for localized prostate cancer in the United States. Accomplishing negative surgical margins while preserving functional outcomes of sexual function and continence play a significant role in determining the success of surgical intervention, particularly since the advent of nerve-sparing (NS) robotic prostatectomy. Recent evidence suggests that NS surgery improves continence in addition to sexual function. In this review, we describe the neuroanatomical concepts and recent developments in the NS technique of RALP with a view to improving the "trifecta" outcomes. We aimed to evaluate the role of robot-assisted radical prostatectomy (RARP) in the management of high-risk prostate cancer (PCa), with a focus on oncological, functional and perioperative outcomes. Further, we also aimed to briefly describe our novel modification to conventional RARP that allows immediate organ retrieval and examination for intra-operative surgical margin assessment. A literature search of PubMed was performed for articles on the management of high-risk PCa. Papers written in English and concerning clinical outcomes following RARP for locally advanced and high-risk PCa were selected. Outcomes data from our own center were also included. A total of 10 contemporary series were evaluated. Biopsy Gleason score ≥ 8 was the most common cause for classification of patients into the high-risk PCa group. Biochemical failure rate, in the few series that looked at long-term follow-up, varied from 9% to 26% at 1 year. The positive surgical margin rate varied from 12% to 53.3%. Urinary continence rates varied from 78% to 92% at 1 year. The overall complication rates varied from 2.4% to 30%, with anastomotic leak and lymphocele being the most common complications. Long-term data on oncological control following RARP in high-risk patients is lacking. Short-term oncological outcomes and functional outcomes are equivalent to open radical prostatectomy (RP). Safety outcomes are better in patients undergoing RARP when compared with open RP. Improved tools for predicting the presence of organ-confined disease (OCD) are available. High-risk patients with OCD would be ideal candidates for RARP and would benefit most from surgery alone. Vesico-urethral anastomosis (VUA) is a technically challenging step in robotic-assisted laparoscopic prostatectomy (RALP) in obese individuals. We describe technical modifications to facilitate VUA encountered in obese individuals and in patients with a narrow pelvis. A Pubmed literature search was performed between 2000 and 2012 to review all articles related to RALP, obesity and VUA for evaluation of technique, complications and outcomes of VUA in obese individuals. In addition to the technical modifications described in the literature, we describe our own experience to encounter the technical challenges induced by obesity and narrow pelvis. In obese patients, technical modifications like use of air seal trocar technology, steep Trendlenburg positioning, bariatric trocars, alterations in trocar placement, barbed suture and use of modified posterior reconstruction facilitate VUA in robotic-assisted radical prostatectomy. The dexterity of the robot and the technical modifications help to perform the VUA in challenging patients with lesser difficulty. The experience of the surgeon is a critical factor in outcomes in these technically challenging patients, and obese individuals are best avoided during the initial phase of the learning curve. Positive surgical margins (PSM) at the time of radical prostatectomy (RP) result in an increased risk of biochemical recurrence (BCR) and secondary treatment. We review current literature with a focus on stratifying the characteristics of the PSM that may define its significance, the impact of modern imaging and surgical approaches in avoidance of PSM, and management strategies when PSM do occur. We performed a review of the available literature to identify factors associated with PSM and their management. PSM have been repeatedly demonstrated to be associated with an increased risk of BCR following RP. The specific characteristics (size, number, location, Gleason score at the margin) of the PSM may influence the risk of recurrence. Novel imaging and surgical approaches are being investigated and may allow for reductions of PSM in the future. The use of adjuvant treatment for a PSM remains controversial and should be decided on an individual basis after a discussion about the risks and benefits. The goal of RP is complete resection of the tumor. 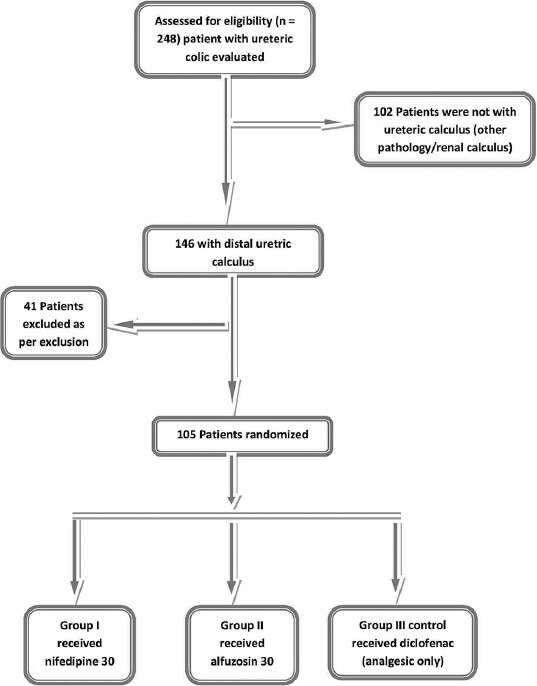 PSM are associated with increased risk of BCR and secondary treatments. Of the risk factors associated with BCR after RP, a PSM is directly influenced by surgical technique. Failure of non-surgical primary treatment for localized prostate cancer is a common occurrence, with rates of disease recurrence ranging from 20% to 60%. In a large proportion of patients, disease recurrence is clinically localized and therefore potentially curable. Unfortunately, due to the complex and potentially morbid nature of salvage treatment, radical salvage surgery is uncommonly performed. In an attempt to decrease the morbidity of salvage therapy without sacrificing oncologic efficacy, a number of experienced centers have utilized robotic assistance to perform minimally invasive salvage radical prostatectomy. Herein, we critically evaluate the existing literature on salvage robotic radical prostatectomy with a focus on patient selection, perioperative complications and functional and early oncologic outcomes. These results are compared with contemporary and historical open salvage radical prostatectomy series and supplemented with insights we have gained from our experience with salvage robotic radical prostatectomy. The body of evidence by which conclusions regarding the efficacy and safety of robotic salvage radical prostatectomy can be drawn comprises fewer than 200 patients with limited follow-up. Preliminary results are promising and some outcomes have been favorable when compared with contemporary open salvage prostatectomy series. Advantages of the robotic platform in the performance of salvage radical prostatectomy include decreased blood loss, short length of stay and improved visualization. Greater experience is required to confirm the long-term oncologic efficacy and functional outcomes as well as the generalizability of results achieved at experienced centers. Robot-assisted laparoscopic prostatectomy (RALP) has emerged as the most common treatment for localized prostate cancer. With improved surgical precision, RALP has produced hope of improved potency rates, especially with the advent of nerve-sparing and other modified techniques. However, erectile dysfunction (ED) remains a significant problem for many men regardless of surgical technique. 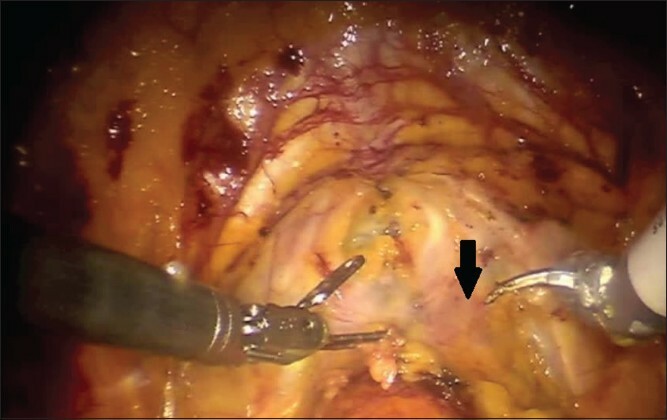 To identify the functional outcomes of robotic versus open and laparoscopic techniques, new robotic surgical techniques and current treatment options of ED following RALP. A Medline search was performed in March 2014 to identify studies comparing RALP with open retropubic radical prostatectomy (RRP) and laparoscopic radical prostatectomy, modified RALP techniques and treatment options and management for ED following radical prostatectomy. RALP demonstrates adequate potency rates without compromising oncologic benefit, with observed benefit for potency rates compared with RRP. Additionally, specific surgical technical modifications appear to provide benefit over traditional RALP. Phosphodiesterase-5 inhibitors (PDE5I) demonstrate benefit for ED treatment compared with placebo. However, long-term benefit is often lost after use. Other therapies have been less extensively studied. Additionally, correct patient identification is important for greatest clinical benefit. RALP appears to provide beneficial potency rates compared with RRP; however, these effects are most pronounced at high-volume centers with experienced surgeons. No optimal rehabilitation program with PDE5Is has been identified based on current data. Additionally, vacuum erection devices, intracavernosal injections and other techniques have not been well validated for post RALP ED treatment. Ureteritis cystica (UC) is a benign condition. Although it can often be diagnosed with imaging techniques, we report a case of a child for whom we planned nephrectomy and ureteral augmentation cystoplasty, but abandoned the cystoplasty due to extensive UC in the ureter. The common sites of metastasis from a urinary bladder carcinoma include lymph nodes, bones, lung, liver, and peritoneum. Only a few cases of small bowel metastasis from urinary bladder malignancy have been reported in the English literature. Only one of these cases presented with bowel intussusception. 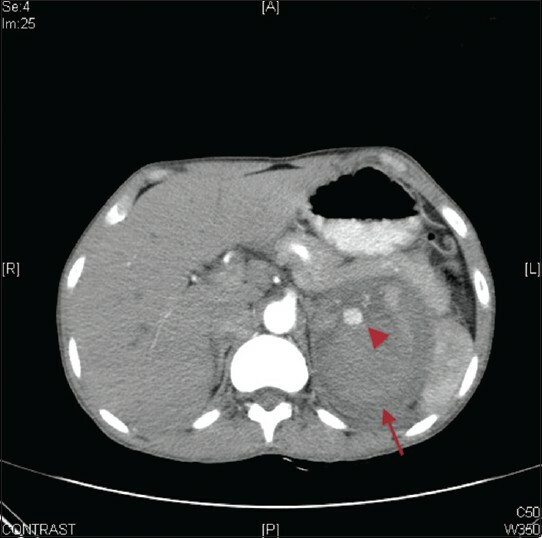 We report a case of an adult small bowel intussusception due to metastasis from a urinary bladder carcinoma which is extremely rare as small bowel metastasis occur mostly from breast, lungs or melanomas. Ovarian vein syndrome is defined as obstructive uropathy caused by dilated ovarian vein with or without thrombosis. This is seen in the puerperal period as an acute condition with abdominal pain and fever and in multipara women with chronic recurrent abdominal pain. We report an ovarian vein syndrome caused by a true vascular anomaly in an 8-year-old child. 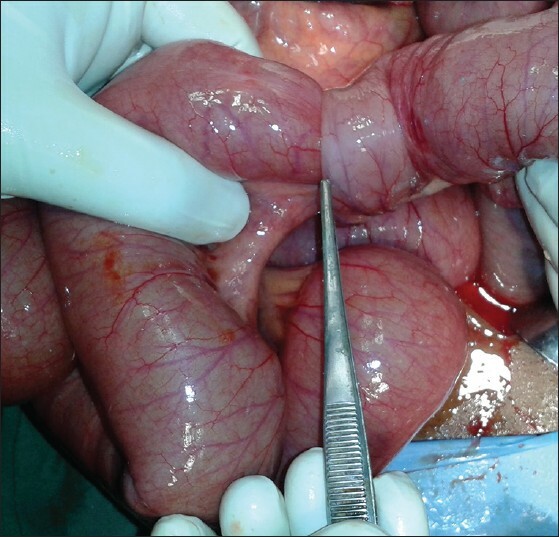 Laparoscopic ureterolysis was performed with ligation of the arteriovenous malformation during the first operation. As ureterolysis was not effective, the patient was reoperated and ureteroureterostomy was performed after 3 months, which emphasizes the importance of removing the diseased segment even if it looks normal. Laparoscopic pyeloplasty is viable standard minimally invasive alternative to open pyeloplasty for the treatment of ureteropelvic junction obstruction. Intrathoracic bleeding is an extremely rare complication after laparoscopic urological surgery, but it should be suspected and promptly diagnosed in case of worsening hemodynamic status and respiratory parameters during the intra or post-operative course. We report a case of hemothorax complicating an otherwise uneventful LP in an 18-year-old girl. We report the case of a young man who presented with spontaneous left perinephric hematoma and per-rectal bleeding. Evaluation revealed renal and superior mesenteric arterial aneurysms secondary to polyarteritis nodosa (PAN). Computed tomography and angiographic findings are presented. The aetiology of spontaneous perinephric hemorrhage along with relevant features of PAN are discussed. Upper urinary tract urothelial malignancy accounts for 5-10% of urothelial carcinomas. Synchronous bladder carcinoma occurs in 2-4% of patients with upper urinary tract tumors. Urothelial malignancy involving the entire upper urinary tract is an extremely rare entity. Most upper urinary tract malignancies are transitional cell carcinomas (TCC), of which the sarcomatoid variant is very rare. These tumors pose a challenge to the radiologist. We herein report a case of TCC involving the entire collecting system of the left kidney, extending down along the ureter and projecting as a mass in the bladder.